David Lametti was appointed the Justice Minister and in the new role, he could eventually have the final say in the extradition case of Huawei’s global chief financial officer Meng Wanzhou. The former McGill law professor was most recently the Parliamentary Secretary to Innovation, Science and Economic Development Minister Navdeep Bains. 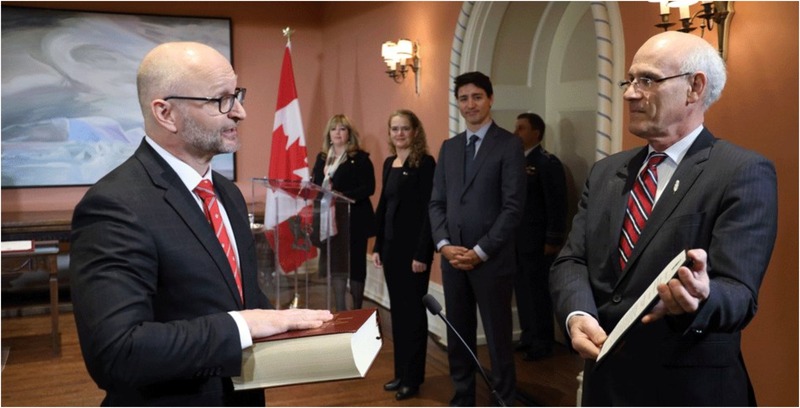 He was given the new title at a cabinet shuffle ceremony hosted on January 14th, 2019 at Rideau Hall in Ottawa. He took the role over from Jody Wilson-Raybould, who was shifted over to become the new Veterans Affairs Minister. “I expect you to ensure that our initiatives respect the Constitution of Canada, court decisions, and are in keeping with our proudest legal traditions,” Prime Minister Justin Trudeau wrote in the letter. After the ceremony though, Lametti did not respond to questions on Meng’s arrest and said that he wanted to be briefed first because of his potential involvement in the future. He added though that Canada is a rule of law country and he will respect that. Meng was arrested in Vancouver while transiting to Mexico on December 1st, 2018 by Canadian authorities. She was granted bail but currently faces extradition to the U.S. on fraud-related allegations. The U.S. reportedly said Meng deceived international banks to funnel transactions between Huawei and Iran. Meng has maintained that Huawei has no connection or involvement. At the time of her arrest, Canadian authorities said the country has a rule of law and an independent judiciary, and that Meng had to comply with a judicial proceeding before she could be released. Star Vancouver reporter Jeremy Nuttall, who has been reporting on the Huawei case extensively, tweeted on January 14th, 2019 that Lametti’s appointment was interesting considering he has voiced his opinions on building a stronger relationship with China in the past. “What I find interesting about the Lametti appointment is he has been a big backer of deeper ties and an FTA with China. Now, as justice minister, he’ll be involved in the #MengWanzhou case,” the January 14th, 2019 tweet read. What I find interesting about the Lametti appointment is he has been a big backer of deeper ties and an FTA with China. Now, as justice minister, he’ll be involved in the #MengWanzhou case. The Quebec MP was first elected in 2015. He was appointed the Parliamentary Secretary to Bains and was the Parliamentary Secretary to International Trade Minister from 2015 to 2017. In 2016, during a CTV Question Period interview, Lametti said Canada needed to rebuild the relationship with China. Canada faced multiple repercussions as a result of Meng’s arrest, including the detention of two Canadians last month, former Canadian diplomat Michael Kovrig and entrepreneur Michael Spavor. Reuters previously reported that U.S. President Donald Trump might even announce an executive order that would block local companies from buying equipment from foreign telecommunications makers if they pose a national security threat. Following the U.S., Australia and New Zealand have also banned Huawei from supplying 5G networking equipment out of fear of a national security breach.